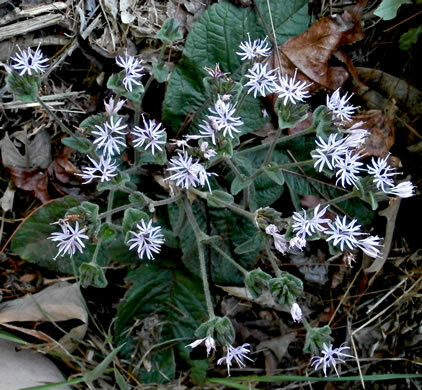 Two to five 5-lobed disk flowers in a circle, resembling ray flowers, per Wildflowers of Tennessee, the Ohio Valley, and the Southern Appalachians. 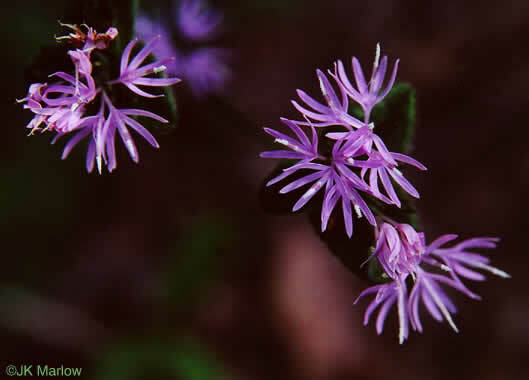 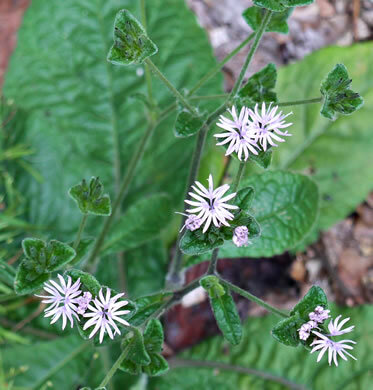 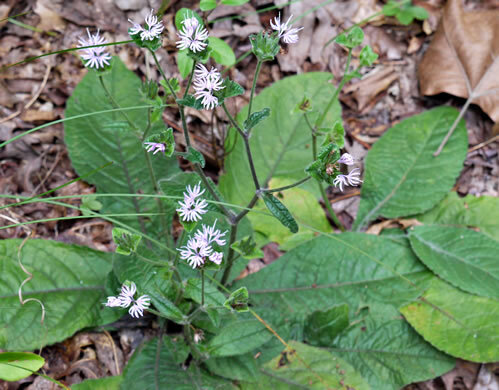 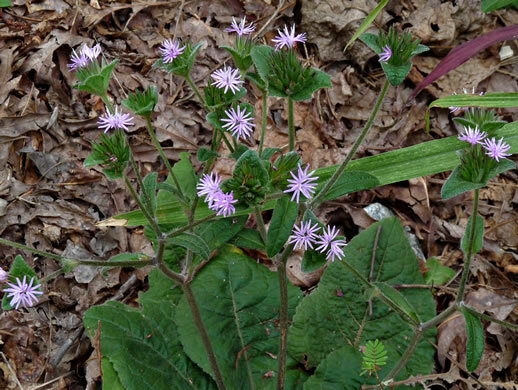 Flowers in heads surrounded by 3 conspicuous bracts, per Wildflowers of the Eastern United States. 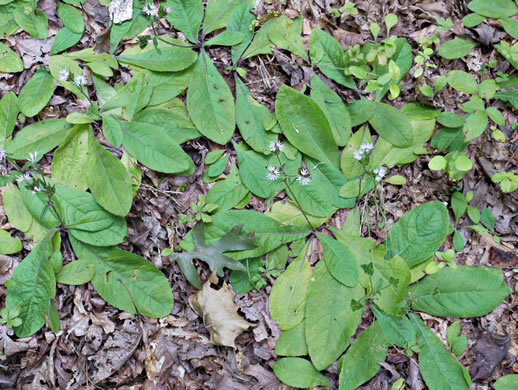 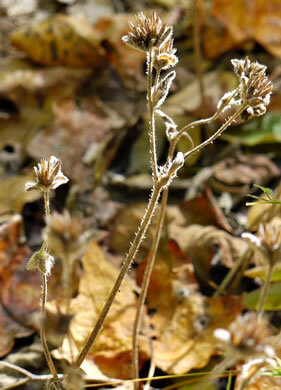 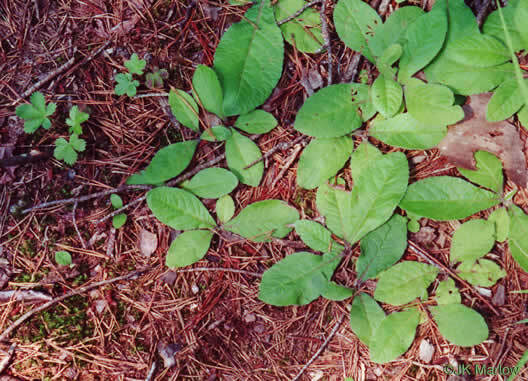 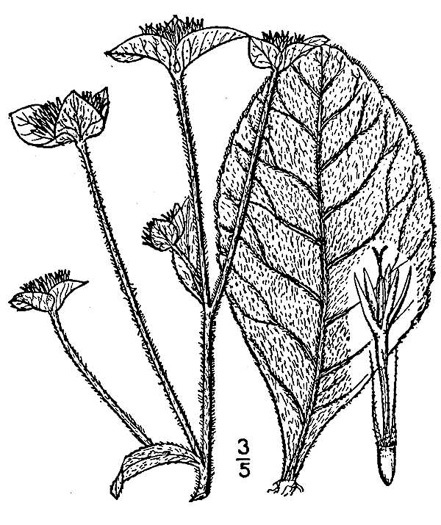 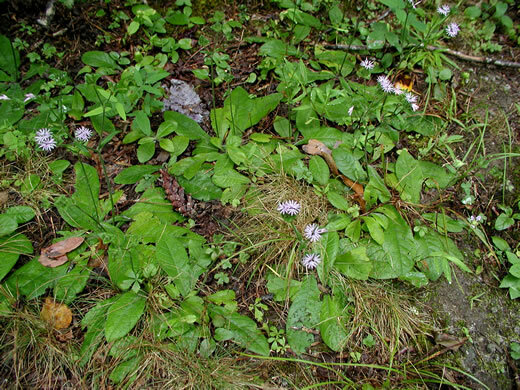 Leaves are mostly basal, broadly oblong, and lie flat on the ground, per Wildflowers of the Southern Mountains. 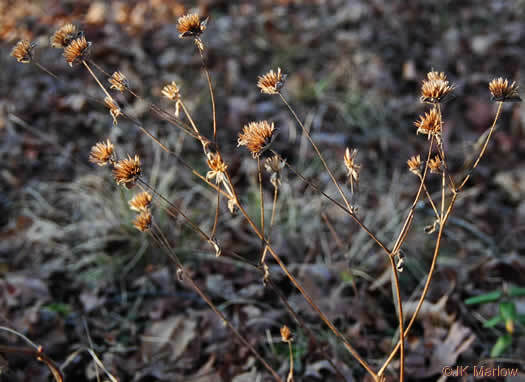 Stems hirsute, per Vascular Flora of the Carolinas.